Right side cams - passenger side I take it, if so its normal for the cams to be 'on lobe' and makes it awkward without locking tools. 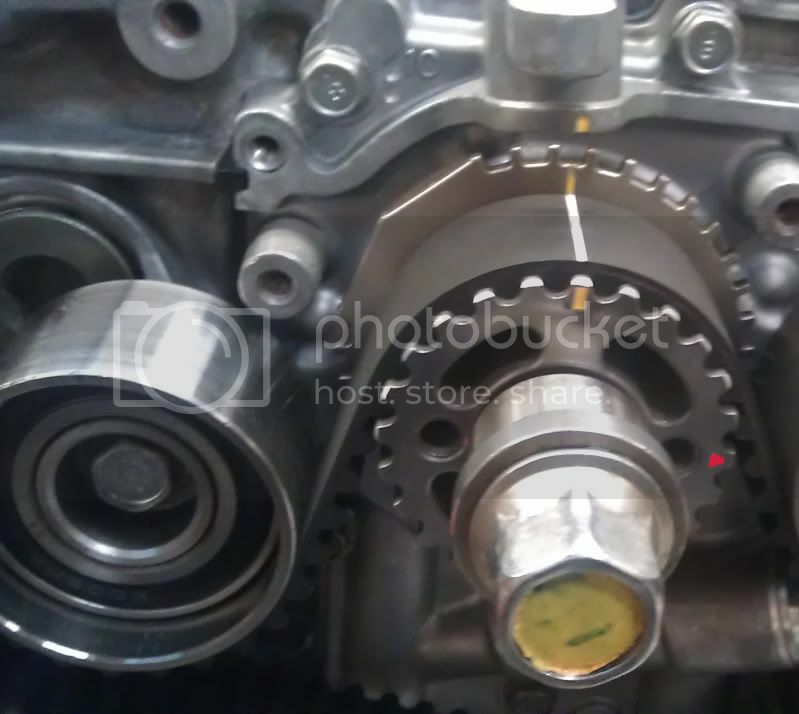 Set your crankshaft line to the oil pump mark and put your cam belt on. 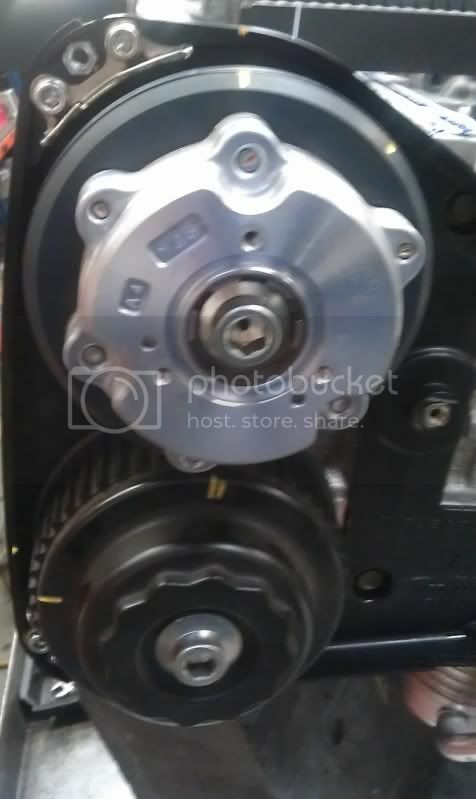 Working anticlockwise,set your Right hand (turbo side) cam pulley marks to the inner cover marks and slip the cambelt onto the inlet pulley first and then the exhaust. 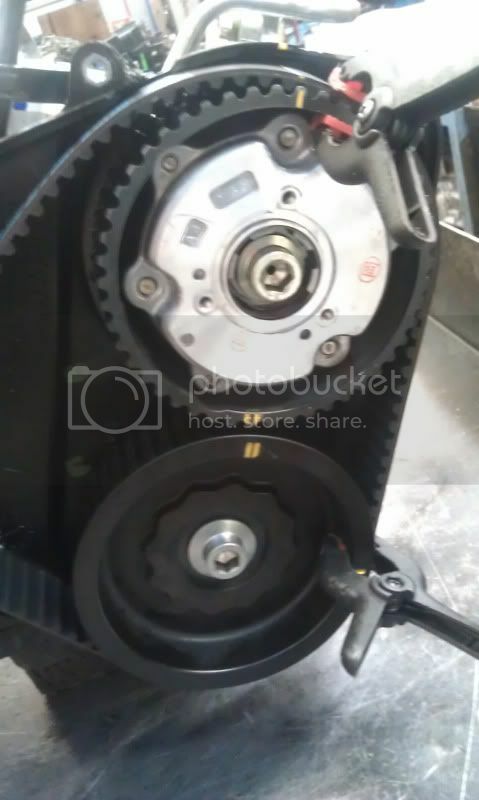 Feed the belt onto the lower idler and water pump idler and around the water pump pulley. 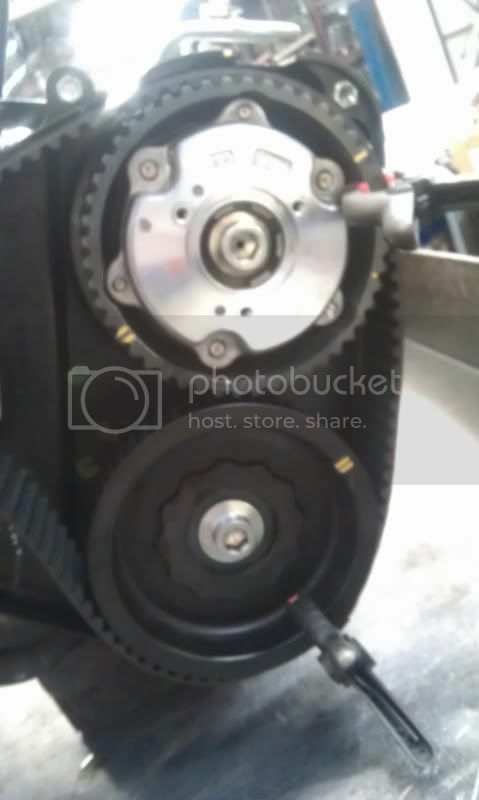 Inlet cam is on lobe, exhaust about to press down on the buckets under the cam lobes and feed the belt onto the exhaust pulley first and clip the belt to the pulley. 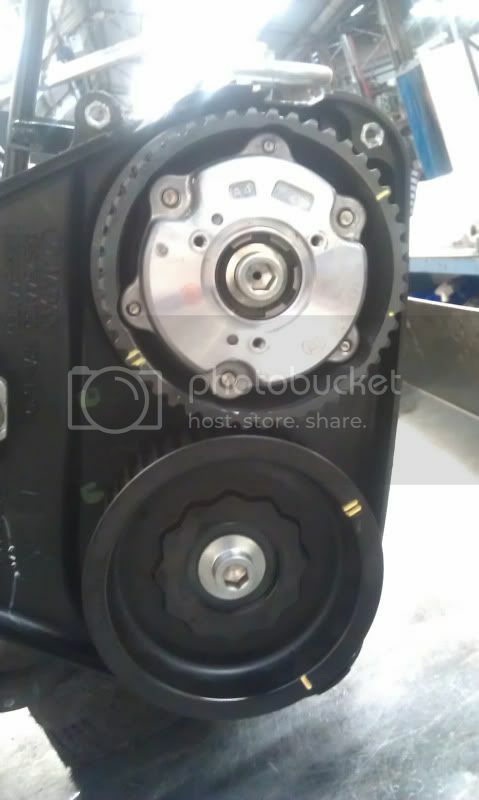 Feed the belt onto the inlet pulley (without moving the pulley as it is on lobe) and clip it to the pulley. Rotate both pulleys together anticlockwise making sure there is no slack on the belt between the pulleys, until the pulley marks line up with inner cover marks. All the slack on the belt is now where the tensioner sits - fit the tensioner and torque up the bolt, double check all timing marks are lined up and then pull the tensioner pin to tension belt. Last edited by merlin24; 03 February 2015 at 09:15 PM. This should be made into a sticky in General Technical. Nice work as always Mr Merlin.